How Disaster Ready Are You? 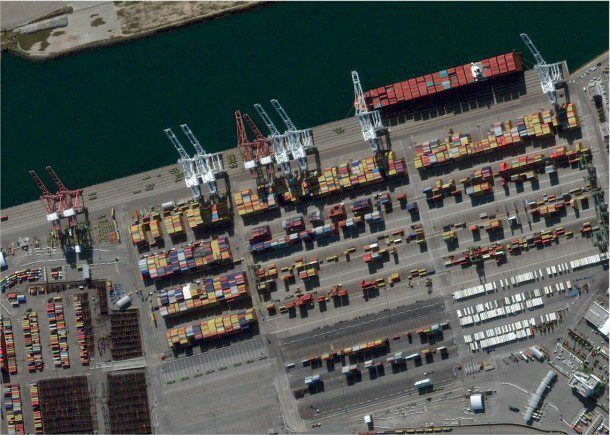 High-resolution satellite imagery can help analysts regularly monitor ports around the world. Shown here is a natural-color, 50-centimeter WorldView-2 satellite image of the Port of Los Angeles collected Dec. 22, 2011.
content and information available—unmatched for its combined completeness, currency, accuracy and depth. 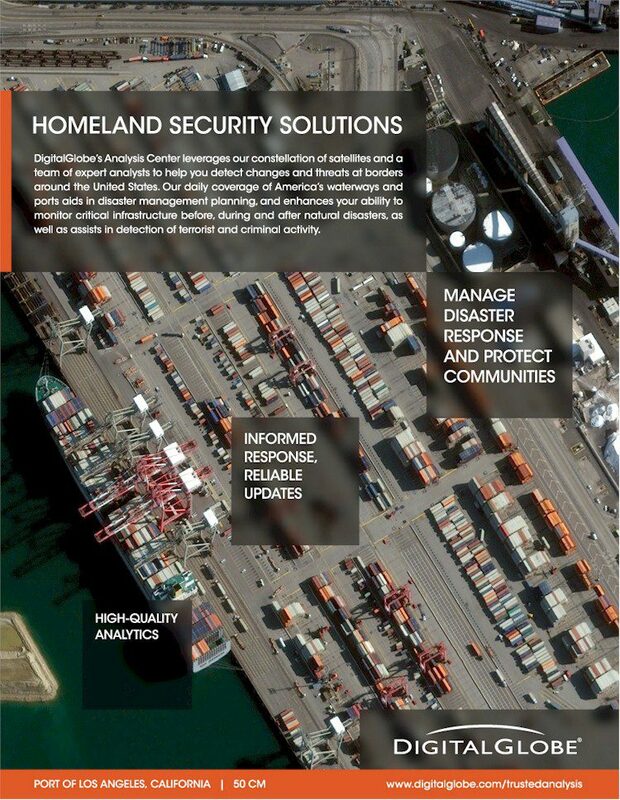 With a collection capacity of 2.5 million square kilometers per day and the ability to refresh imagery of the same location almost daily, DigitalGlobe enables government agencies to regularly monitor border areas, ports and sensitive infrastructure such as power plants, nuclear facilities, water supply and treatment facilities, and transportation networks. Add this to a vast image library that contains more than 2 billion square kilometers of high-quality imagery, and these agencies can get fast and easy access to current and historical data when and how they need it. This collection capacity, vast archive and a robust Web platform make it possible for DigitalGlobe to develop and deliver a wide range of products and services, all designed to meet specific geospatial needs. Because DigitalGlobe’s advanced technology offers higher resolution, superior accuracy and eight multispectral bands, users receive a rich dataset to better delineate and classify features, monitor change and respond to natural disasters. And now, the DigitalGlobe Analysis Center provides agencies the ability to gain quick insight into business, military, environmental and political changes that impact people around the globe. Using direct access to DigitalGlobe’s satellite constellation, combined with the ability to exploit a vast archive of global data in the ImageLibrary, the company’s Analysis Center helps agencies understand the full story behind the image. FirstWatch is a key service offered by the DigitalGlobe Analysis Center. 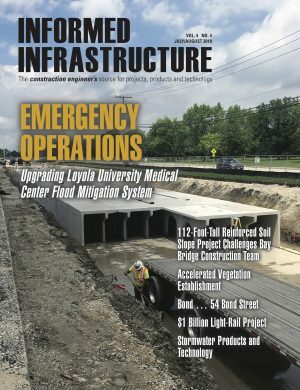 FirstWatch provides customers with rapid imagery-based analysis of an event’s scope and magnitude, as well as the event’s impact on critical infrastructure and populations. FirstWatch customers are provided with a detailed report that presents a rapid initial assessment of an event, highlighting areas of interest and importance within the imagery. FirstLook is another critical service offered by the DigitalGlobe Analysis Center. FirstLook is an online subscription service for emergency management that provides fast Web-based access to pre- and post-event imagery of world disasters delivered to almost any desktop or Web-based mapping platform. This service provides those engaged in relief efforts with critical imagery and information for emergency planning, risk assessment, monitoring of staging areas, damage assessment and recovery. With more than a decade of experience meeting the most demanding and rigorous requirements of the U.S. government, one of the world’s heaviest and most sophisticated users of high-resolution satellite imagery, one can trust DigitalGlobe with any geospatial needs. Whether it’s identifying the world’s natural resources, monitoring pipelines and facilities, understanding Earth’s environmental condition, protecting homelands and borders or responding to natural disasters, DigitalGlobe has a solution for you.